Zanshin Dojo is one of Nottingham’s longest established schools teaching traditional Japanese and Okinawa martial arts. This is an essential guide to the Dojo and the martial art practice we embrace. This is our preschool group for ages 5 to 8 years. We have created a special section within the dojo for this age group to prepare them for full licensed training which can start at 8 years of age. We have a merit badge and awards system that prepares them for their future training. 8 years to 16 years have several sessions at the dojo based on their grade and ability. Some students move into the adult section of the dojo earlier due to their size and ability. All over 16’s train as a Zanshin Senior the dojo provides training for this group every day of the week except Saturday which is dedicated to the Tigers and Junior training. The classes are directed to different grade and abilities. All our instructors are CRB (Criminal Record Bureau) checked and all have First Aid qualifications. Our Instructors are recognized by both National and International Governing bodies. 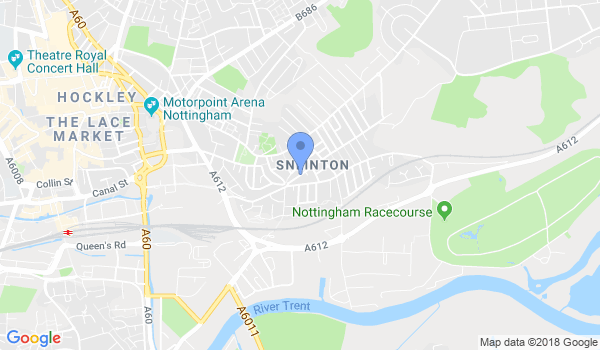 Would you like more information on hours, classes and programs available at Zanshin Dojo JKR-UK (Sneinton) Nottingham? Please contact the school with your questions. Update the details, Write a Review or Report Error of Zanshin Dojo JKR-UK (Sneinton) Nottingham.